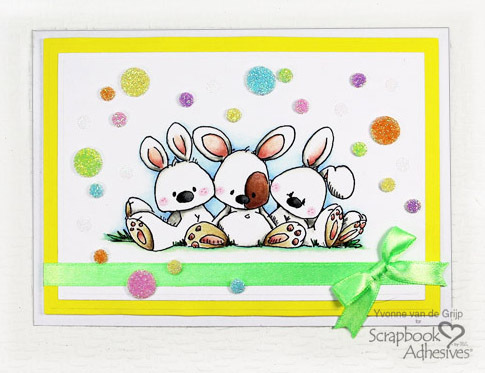 Hi everyone, Yvonne here with a cute Easter bunnies card. 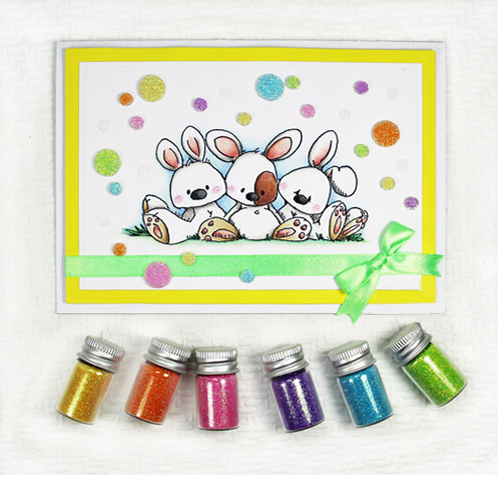 With Easter coming up, I am in the mood for Easter cards and colors. 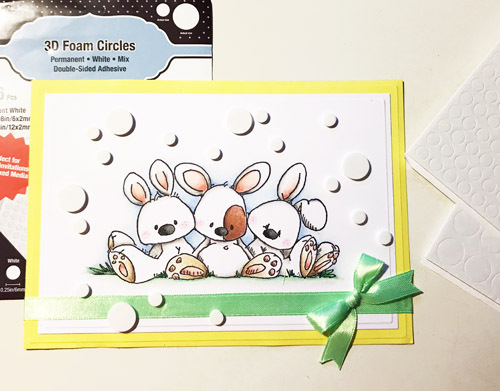 The pastel glittered 3D Foam Circles and Adhesive Dots make this card cute and Easter-themed! 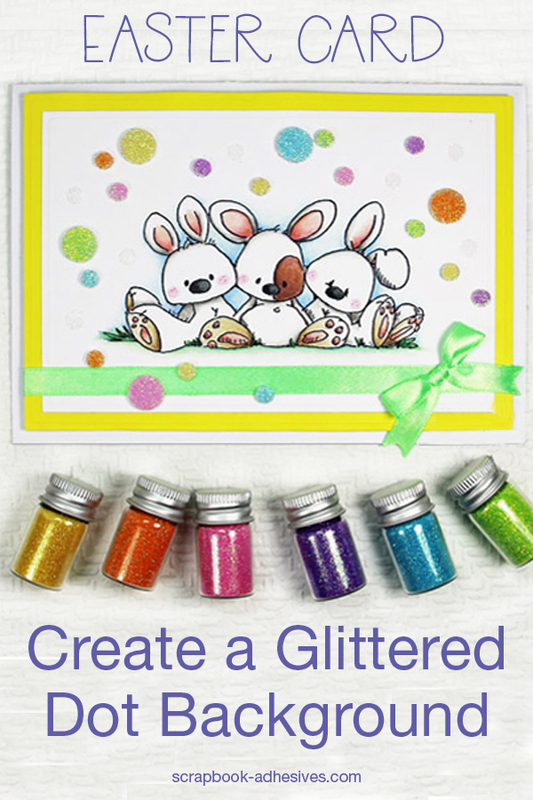 Scrapbook Adhesives by 3L® products make this card super easy to embellish. Let me show you how I made the card using Wear Your Adhesive on the Outside! 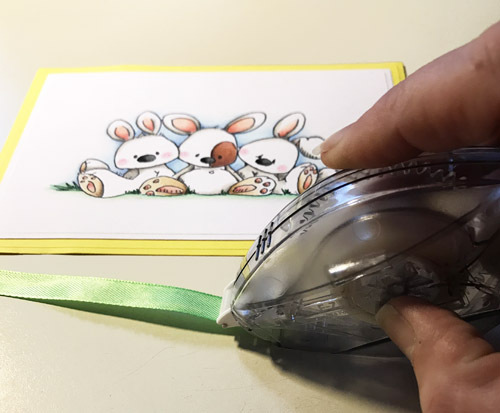 Start by stamping the bunnies onto white cardstock using a black ink pad and then color the image with pencils. Then cut and emboss into a rectangle shape centering the colored image. Next cut and emboss a slightly larger yellow rectangle shape and adhere under the stamped layer using E-Z Runner® Ultra Strong Refillable Dispenser. Cut green satin ribbon and wrap around the layered panel. 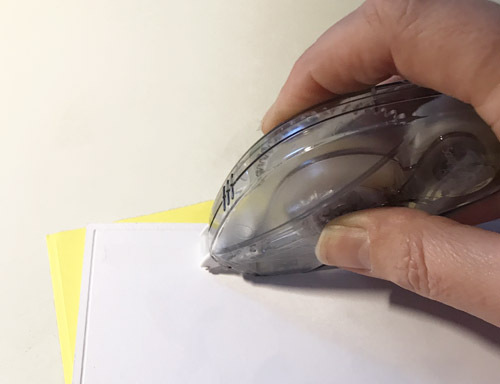 Adhere to the back using the E-Z Runner® Ultra Strong Refillable Dispenser. 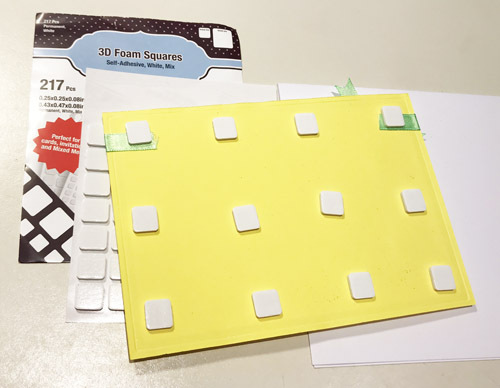 Then adhere the panel to a white card base using 3D Foam Squares White Regular Size. Next, tie a bow and adhere it to the card using Adhesive Dots Mini. To embellish the card I used 3D Foam Circles White Mix and Adhesive Dots Mini. 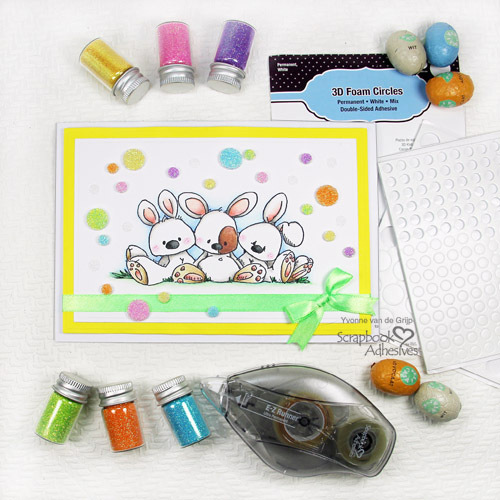 First, adhere 3D Foam Circles White Mix to the card (both the large and the smaller size) around the Easter bunnies. Remove the liner of 3D Foam Circles and sprinkle some glitter upon. And then use your fingers to rub the glitter over the 3D Foam Circle for even more secure adhering. Then tap off the excess glitter and repeat for the other circles. For extra dimension, I used Adhesive Dots Mini. To achieve this, I adhered Adhesive Dots Mini to the card front and removed the liners. Then sprinkle white glitter upon and rub the glitter with your fingers and then tap off the excess. 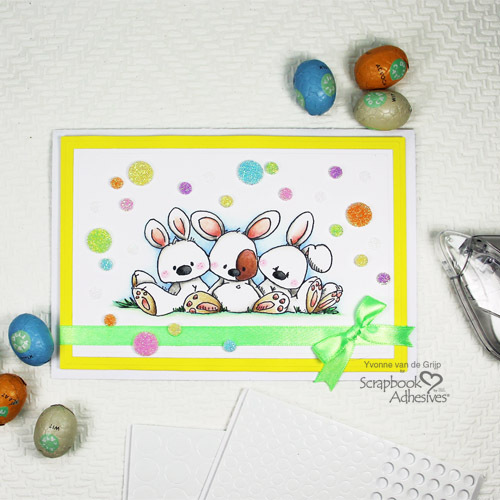 And voila…your Easter Bunnies card is ready to make someone smile! This entry was posted in 3D Foam Circles, 3D Foam Squares, Adhesive Dots & Lines, Adhesives, Beginner, Cards, Crafts & Tutorials, E-Z Runner® Dispensers, Permanent Adhesive, Seasonal Craft Ideas, Skill Level, Spring, Tutorial, Wear your Adhesive on the Outside and tagged 3D Foam Circles White Mix, 3D Foam Squares Mix White, 3D Foam Squares Regular White, Adhesive Dots Mini, Card, Card Making, E-Z Runner Ultra Refill, E-Z Runner Ultra Refillable, Easter, Glitter, Tutorial, Wear Your Adhesive on the Outside, Whipper Snapper Stamps, Yvonne van de Grijp. Bookmark the permalink.